rivers expected to go from 4feet to over 14feet. 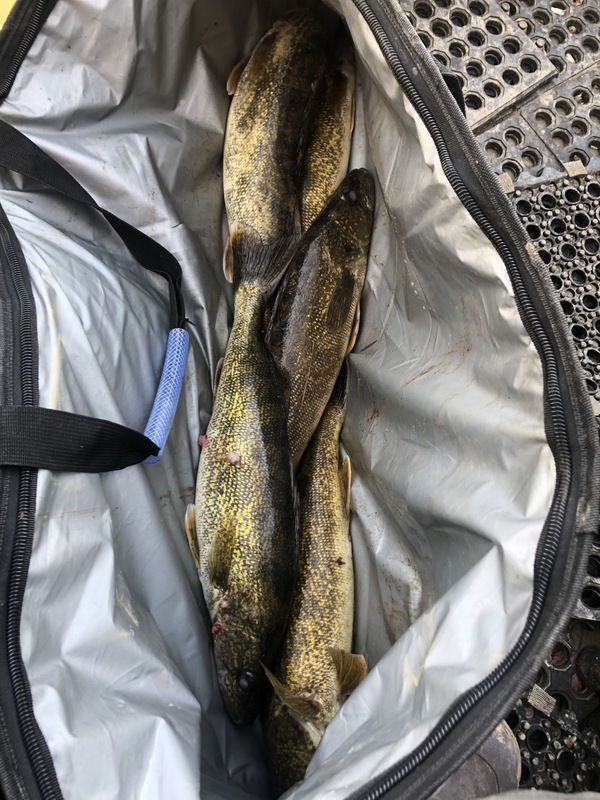 I have been picking up some very interesting techniques that should work in heavy current when shore fishing walleye, I will let you guys know how it works out. Nice going Rapid. Crossed the river yesterday and it was still high, gonna be gnarly tomorrow. Awesome fish, that is a nice bag limit of good sized eatters! That is pretty cool, not many people target eyes and sauger using fly gear. How difficult is it to keep your streamer in the strike zone with river currents and depths being what they are on a bigger river? Slow and low is the ticket to getting the big ones this time of year. It is a bigger river,around 1800-2000cfs on a good day,so I target areas where they find ideal holding water where it's less'n 8' deep and more often 4-6' deep,often near dams where they seem to congregate in the colder weather. 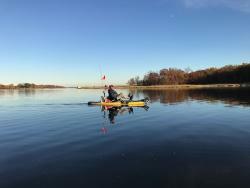 I fish deeper water and holes using my drift boat and a faster sinking line and am usually running about 10-15' deep. 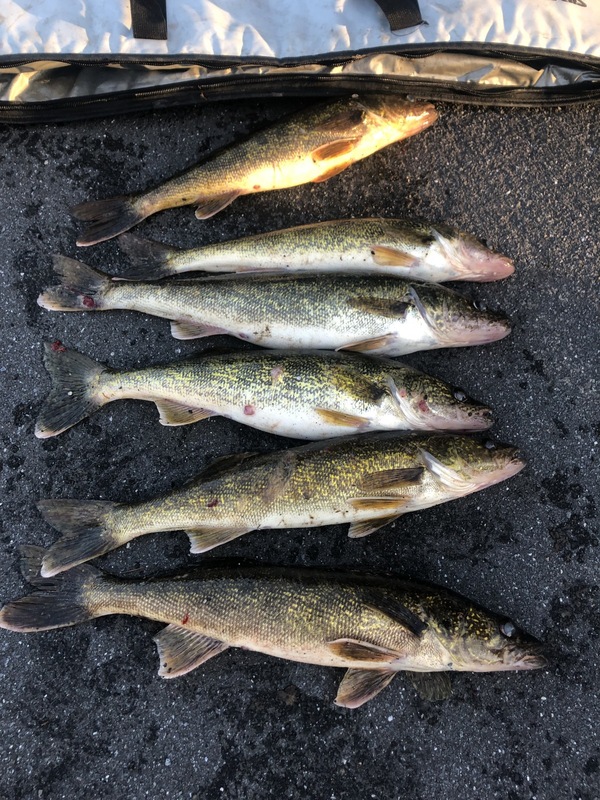 Wallys and sauger have that hard,bony roof of the mouth and you'll often hook them up there when you lift on your strike...hard not to do,right? Esp in a boat.That causes a problem in that the hook isn't well set into the bone and if they get even a seconds worth of slack they're off the hook cuz it aint actually sunk into any meat,just pricked against the bone.Don't lift your tip when you hook one,keep it low and to the side and retrieve steadily and you're losses will at a minimum.In a boat the same applies but don't lift your tip to net them,swim them in a figure 8 to keep tension and net them on one of the turns.Bringing them to the surface where they flop around will cost you fish.